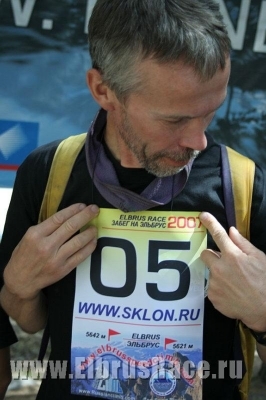 Sergey Surmonin (Moscow) is a skier and marathon runner, who participated in 100 km supermarathons. 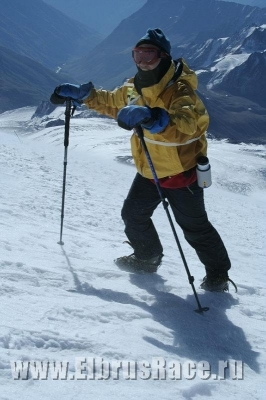 In 2001 he climbed Khan Tengri (7010 m), in 2002 – the peak of Lenin (7134 m), and a year later he participated in a very interesting ascension to the peak of Khan Tengri, where he took 5th place. 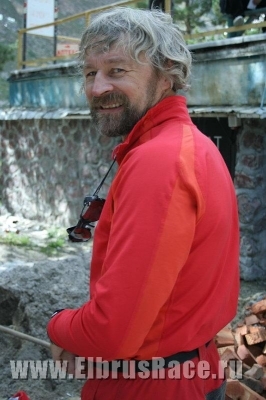 In 2005 he climbed the peak of Evgeniya Korzhenevskaya (7105 m) and the peak of the Communism (7495 m), and in 2005 he climbed the peak of Evgeniya Korzhenevskaya at a glance without any preliminary acclimatization. In the mountains of Zailiysky Alatau (Kazakhstan) he became the prize winner in climbing to the peaks of Amangelda, Abay and Nursultan for many times. 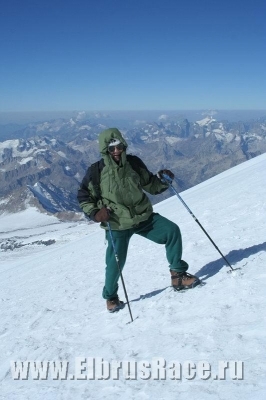 In July 2006 he took 2nd place in the speed climbing competition to the peak of Nursultan. He also took part in the expedition to Everest in 2006. In September 2006 took 4th place in ELBRUS RACE competitions in class "Extreme" with a result 6:22:38. Qualification (climbing level): 1 c.l. 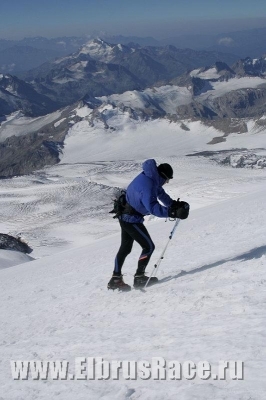 Partcipation in Races: Lenin Peak (1 Camp-Top) - 10 hrs; Khan-Tengri Peak (Base Camp-Top) - 14 hrs. Permanent participant in speed climbing to Amangeldi peak (Kazakhstan), «Uchitel» (Teacher) peak and Komsomolez peak (Kyrgyzstan). 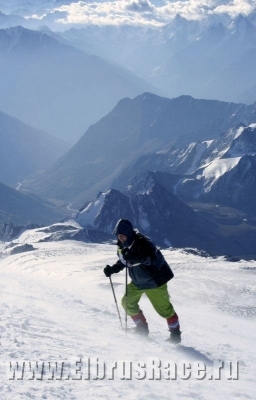 Partcipation in Races: Permanent participant in speed climbing to Amangeldi peak (Kazakhstan), «Uchitel» (Teacher) peak and Komsomolez peak (Kyrgyzstan). 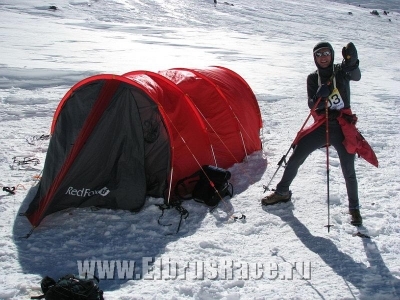 ELBRUS RACE 2006, class "Extreme", 3-d place, 5:49:44. Qualification (climbing level): 2 c.l. 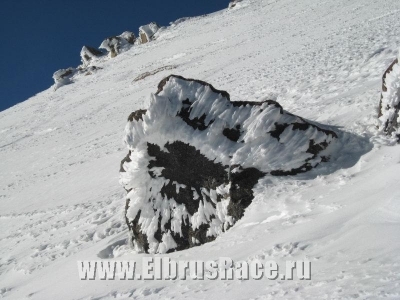 Partcipation in Races: ELBRUS RACE 2006, class «Classic», didn't reach the Top. 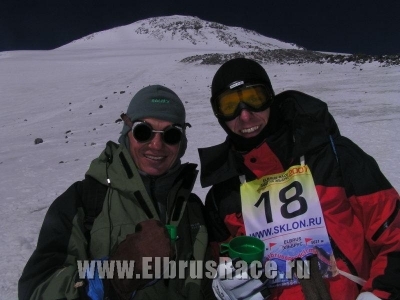 Partcipation in Races: ELBRUS RACE 2005, class "Classic", 2-d place, 07:05. Participation in other competitions: 2004,2005 - Ski Mountaineering Russia Championships (Khibins), result of 2005: Team Cup-4 place, Single Cup-6 place. 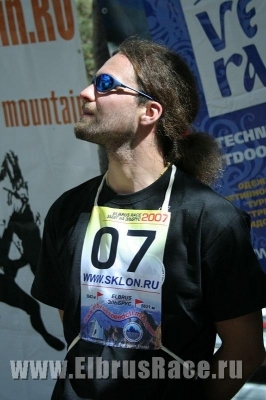 December, 2006 - Ski Mountaineering Russian Cup (Magnitogorsk), result: Vertical Cup-3 place, Team Cup-3 place, Relay race Cup-2 place. March, 2007 - Ski Mountaineering European Championship (Morzine, France). Partcipation in Races: ELBRUS RACE 2006, class «Classic», 2 place, 3:07:07.